And the answer can take some time to analyze. Let’s take a simple example – accounts receivable. Assume your Balance Sheet says you have accounts receivable – amounts owing to you by customers you have sold goods or services to and expect payment later – in the amount of $120,153.16. For me to determine if that is right, I need to see a list of customers who owe you money on the same date as the Balance Sheet. Does the total of the customer list agree to the number on the Balance Sheet? Yes? Ok, so far so good, great. Now, how old are those amounts owing. I need to see by individual customer how old that account is – current (within last 30 days), more than 30 days, more than 60 days, or more than 90 days. I will now put a lot of attention on asking more questions about each amount owing, especially the ones greater than 90 days. Who is this customer? When was the last time you contacted them for payment? Why haven’t they paid? Will they even pay? It is well known that invoices greater than 90 days are very, very difficult to collect. So, if that older receivable is a government account, it may be good still. I remember examining a list of receivables years ago for a small business in central British Columbia (an electronics retail store). It had a high accounts receivable balance. Profits were great! The general manager was very happy because he got paid commissions on sales volume, so for him any sale was a good sale. However, on examining the list we found old accounts for customers who were in jail in some cases, or on welfare. They had bought big screen TVs and other electronics, all on easy credit! Sales were up, profits up, manager’s bonus up! Oh, wait, that precious asset called accounts receivable, which needs to convert to cash, and quickly, was not right. The total amount agreed to the list of customers who owed money. So, why wasn’t it right? Like milk well past the expiry date, there were rotten accounts in there. 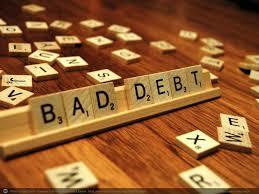 They had to be written off as bad debts, making the amount of accounts receivable go down, to make it right. And that made assets go down, profits down, and (not sure if this happened or not, but should have) the manager’s bonus reduced. So, asking, “is it right?” led to a lot of smaller questions inside each customer balance. 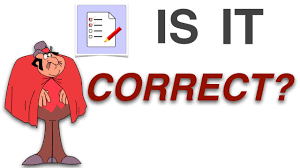 This question, “is it right?” is always my starting question in reviewing a set of financials for each account. What Are the Two Sides of This Transaction? In accounting there are always two parts to every transaction. You could see a transaction as an event in time. A business event. Something happened. Someone bought something. You spent some money. You borrowed money. Those are all events in your business. How bookkeepers record those business events is always in at least 2 parts. Often, the first part is the easiest. I will illustrate with a simple example. We will look at a sale of services as a simple example. So, what happened? You issued an invoice to a customer for services rendered at a certain dollar figure. We will leave out taxes. That single event – a sale – has two sides. Let’s imagine they pay you cash on the spot. So, your bank account will go up the minute you deposit the money. You know that “cash in the bank” is an asset, so you figured out the first part – assets, specifically “cash in bank” went up. Most people stop right there. After all, cash is king, that’s all I need to know, right? However, is that all that happened? Not in accounting. There are ALWAYS two sides. I tell them that there are only 5 main “rooms” in the accounting house. Assets, liabilities, equity, revenue, and expenses. That’s it. Never less than 5, never more than 5. So, the first thing from that sale is your bank account went up. “Cash in the bank” is an asset, I think we can all quickly agree on that side. 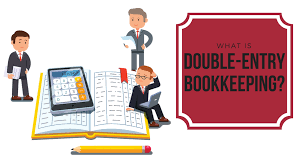 But there is a second part, because there are always 2 sides to every event or transaction, which, by the way, is why it is called double-entry bookkeeping. So, the way to figure out what the other side is, is to ask yourself, what other “room” in the accounting house, does this transaction live inside? We made a sale in this example. Did our liabilities go up? Nope. Can rule out that room. Did our expenses go up? Nope clearly not. We can rule out that room. Did our assets go up? Yes, with the cash, but that’s only one part. Did equity go up? Well, we didn’t directly put any money in as the owner, so it’s not directly affecting this room. Did revenue go up? Bingo, that’s it. There’s our two sides. Cash went up and sales went up! And because everything in accounting must balance, the cash went up with a debit and the sales increased with a credit. When a transaction gets really complex, asking what rooms of the accounting house are affected helps to organize the transaction into its correct place. One of the best ways to learn how this all works with the two sides to every event, the 5 rooms of the accounting house, is through a breakthrough technology called Color Accounting. In Color Accounting you will learn using colors instead of “debits and credits”. It is easy and even fun! In one day, you can learn how it all works, and better yet, leave feeling confident to understand how transactions get recorded and, more importantly how to read financial statements and interpret the story they tell. If you want to know more about this course, just email me, or message me on LinkedIn and I will direct you to the people who run Color Accounting. ⟵Are You Using Cheques to Pay Your Bills? Question is – Why?